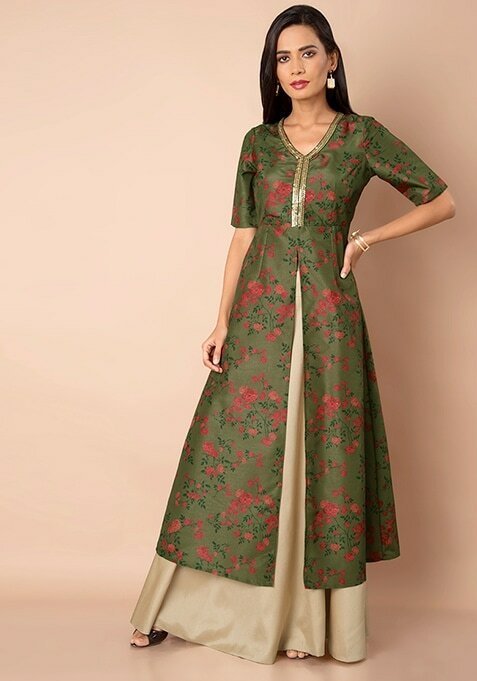 Stand out from the crowd donning this silk maxi tunic in olive floral print. The lace insert and slit on the front makes this outfit a total showstopper. Work It- Combine it with a pair of straight pants to rock your ethnic avatar.